I really can’t count the number of times I cooked steaks for us and midway through dinner said we could have gotten by with one. Knowing I was cooking too much food never seemed to stop me from cooking two, however. Cybil and Blanche loved it. That was then, this is now. One NY Strip Steak is definitely enough for the two of us – and Blanche still gets a bit, too. I’m a slow learner, sometimes. What can I say?!? Portion control has been my biggest challenge – but it’s paying off. Slow or not, at least I’m learning. I was perusing the NY Times Cooking section when I saw a recipe for a Fennel, Kale, and Rice Gratin. The concept sounded good, but there is no way in hell I’m buying kale. I don’t like it and I don’t have to eat it. There are any number of vegetables out there that are just as nutritious – and actually taste good. I see no reason to ruin a good dish with something foul. A baked rice dish with fennel sounded good, so I decided to play. First off, the recipe fed 4 to 6, so I pretty much abandoned it and went with what would work for two. My kale was a partial head of romaine that needed using up. Onions became leeks. Gruyère became colby jack. Dill was omitted, completely. 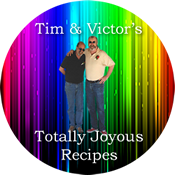 Recipes are great for getting ideas. You don’t have to follow them. Really. Cook rice, cool, and set aside. Saute leeks and fennel is a medium skillet until they are limp and begin to color. Add garlic and cook about 30 seconds. Add greens and cook until they wilt. Cool and set aside. In a medium bowl, mix eggs and milk. Stir in leek and fennel mixture. Stir in Cheese, and then stir in cooked rice. Add salt and pepper, to taste. 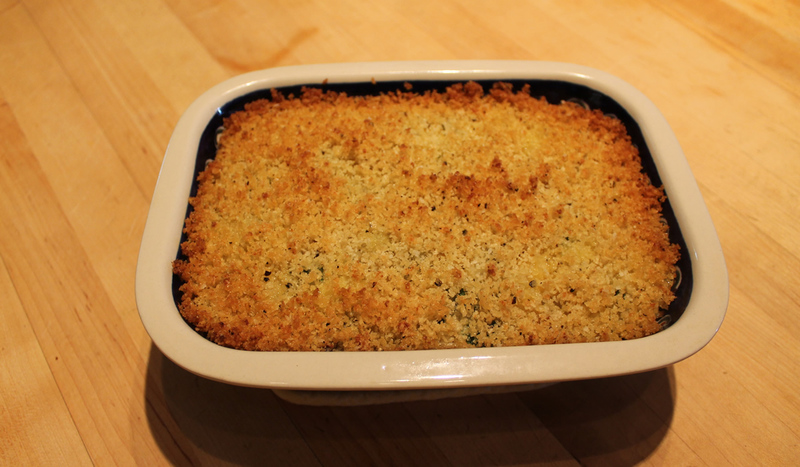 Place in a small casserole and top with breadcrumbs mixed with a bit of olive oil. I sliced the steak and laid it out on top of the rice – layering food is always fun – and we both went to town. It came out really good – and enough for 4 people, easily.